A couple of weeks ago I splurged and bought a customized domain for Dumbass News! 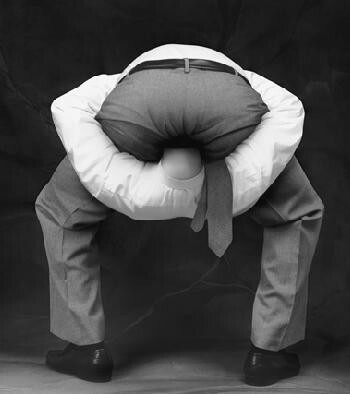 Now, instead of typing in realdumbassnews.blogspot.com all you have to do is use the new domain www.realdumbassnews.com ! 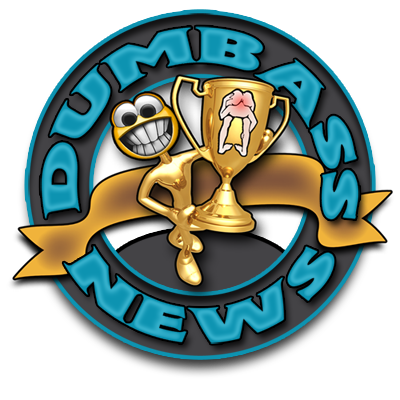 If you already have the old domain bookmarked or if you're simply used to using it, realdumbassnews.blogspot.com will re-direct you to the new and improved domain, so either way you'll end up at Dumbass News. Having said that, there are a few glitches with changing domains like I did, but they are things that can be easily overcome with your help. For example, with the changing of the blog URL, the blog ranking for Dumbass News took a major hit over at Alexa.com, the Nielsens of the internet.Without going into great (and boring) detail, if you have added realdumbassnews.blogspot.com to your blogroll, I'm asking that you please change the URL to that link to www.realdumbassnews.com or simply delete the old URL and re-add Dumbass News to your blogroll. Making this small change will have a big effect on several aspects of the viability of Dumbass News, and I would be forever in your debt for helping out a Fearless Leader. You'll notice in the right side bar that I re-added "follow" buttons so you can be a part of the Dumbass Horde on Facebook, Twitter and Pinterest! Please take a second to click on each button and spread the word about Dumbass News! Baby when you get a minute can you help me do that on my blog roll. I am too much of a dumbass to figure it out lmao. Love you. Your wife. Congratulations it's high time to you get a place of your own. Sure the rent is high, but there's more disk space to roam. Thanks, Beef! Great to hear from you! Folks, if you want to rad some funny stuff, click on Beef's name and give his blog a look-see. Hey, where's your "like" button? I thought you "was gonna slap one on"??? You make me laugh sometimes. Smart@$$.